Broken down by individuals and rent, the private market (list 7th) has increased by 7.6%, while the rental market (list 6th) has increased by 57.3%, while in Spain the private market has increased of 5.2% and rental has increased by 33.0%. The captaincy of Palamós, as it was previously named in the blog, continues leading the registrations of Catalonia, with 458 units, followed by Barcelona with 419 and Tarragona with 206, while at the state level, Palma de Mallorca leads the ranking of registrations with a total of 725, followed by Palamós, Alicante, Barcelona, ​​Cartagena, Santa Cruz de Tenerife, Corunna, Bilbao, Las Palmas and Tarragona, with 458, 448, 419, 304, 245, 225, 214, 209 and 206 boats, respectively. The large growth in registrations in Catalonia is mainly due to the rental market, which has grown by 65.7% in Palamós, by 58.7% in Barcelona and by 38.5% in Tarragona. In Catalonia, by type of craft, jet skis increase by 57.7%, rigid motor boats by 24.5% and semi-rigid boats by 2.7%, while sail boats descend by -6, 1 % and pneumatics in -5.4%, while the State as a whole increase all types of boats: jet skis 22.2%, rigid motor boats 9.9%, semi-rigid ones 9, 4%, sailing 6.84% and pneumatic 8.2%. Excluding, jet skis in Catalonia, in 2017, 859 vessels of all types have been registered, which represents a 13.5% increase compared to 757 last year, while in the whole of the State have been registered 4137 vessels registered, a 10.0% increase compared to 3761 last year. The boats up to 8 m. in Catalonia they represent 83.4%, while the State as a whole represent 85.8%. And the boats up to 12 m., In Catalonia they represent 93.7% and in the whole of the State 94.6%. In Catalonia the boats from 4 to 5 m. they have grown by 26.4%, from 110 to 139 units, while the whole of the State has grown by 17.0%, from 583 to 682. As for the 5 to 6 m., In Catalonia have grown by 24.8% from 125 to 156 units, while the whole of the State growth has been 10.3% from 855 to 943 .. The boats from 6 to 8 m. in Catalonia, they have grown by 7.2%, from 222 to 238 units, while the whole of the State has grown by 11.7% from 857 to 957. As for the 8 to 12 m., In Catalonia have grown by 8.5% from 24 to 32 units, while the whole of the State growth was 35.3% from 102 to 138. The boats from 12 to 15 m. in Catalonia they have grown by 33.3%, from 222 to 238 units, while the whole of the State has grown by 11.7%, going from 857 to 957. As for the 15 to 20 m., In Catalonia have grown by 110% from 10 to 21 units, while the whole of the State growth is 74.4%, from 43 to 75. And finally, the boats of more than 20 m., In Catalonia have fallen -75% from 4 to 1 unit, while the whole of the State the backward movement has been of -14.3% going from 14 to 12. 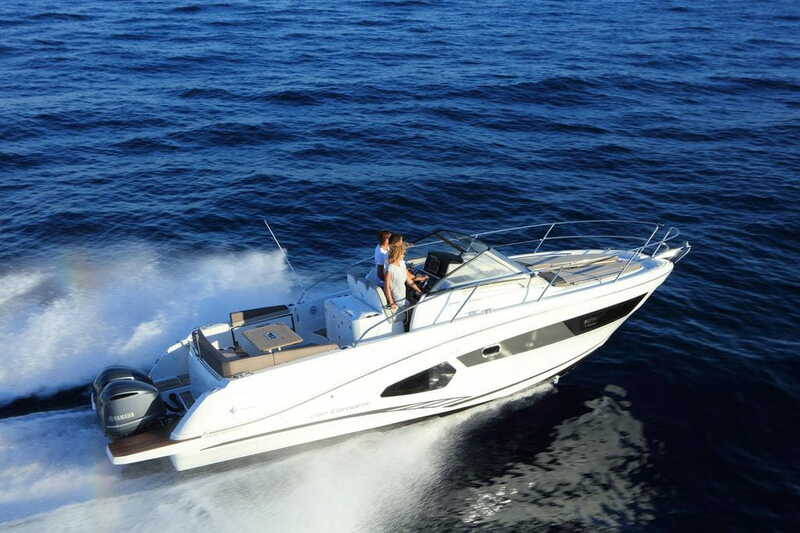 The market for second-hand boats decreases by -6.7%, from 4083 units in 3810, of which 3496 (92%) are motorboats and 314 (8%) are sailing with a behavior very similar to that of set of Spain where the decrease is -4.3%, from 18887 to 18169 units sold, of which 93% (16916) are motor boats and the remaining 7% (1,253) sailing vessels. In the opinion of Jordi Senties, President of ADIN, "we are satisfied with the evolution of the new boat market, as it continues apace, and we are also confident that this positive evolution will continue during 2018." While Miquel Guarner, General Secretary of ADIN, "a good part of the growth of the sector is due to the transformation that is taking place in the market, due to the new habits of consumers, which are driving both boat rental operators like the one of nautical beach activities ".